What is SuperPay Me? - A GPT Scam? SuperPay (or Superpay.me) is a GPT (Get Paid To) site that pays you when you complete offers, click ads, participate in trials, and fill out surveys. SuperPay.me has been online since May 2012. Superpay.me is completely free to join. Who is Superpay Me For? Superpay.me is for anyone who likes to earn extra income online. No particular skill is required, but you have to be willing to provide your personal information or opinions. Even at the time of signing-up, you need to give them your physical mailing address (including country) in addition to the usual basic info like your name, email address and password. They do not ask for your phone number though. You can easily get the realistic expectation of earnings at Superpay.me when you look at the data they provide on the homepage. Currently, Superpay.me has 373,248 members and has paid $363,503.98. It feels a lot but do the math. How much is a member’s average earning? It is only $0.97 (less than a dollar!). You can also see other member’s payment proof under the “Reward” tab. As you can see, people are not making more than $5. The list goes on and you can find a few members who got paid more than $10. However, they are scarce and most payouts are anywhere around $3. So, the answer to the question “can you make money?” is Yes, but it is going to be only a couple of bucks. 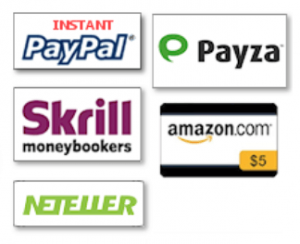 They provide several payment options such as Paypal, Payza, Skrill and gift cards. Their minimum cashout is as low as $1.00, and it does not increase after each withdrawal, which is a plus. The payment process is quite fast as well. Once you are verified for using “Instant” PayPal service, you can get paid multiple times per day. Beware though that there are quite a few SuperpayMe complaints on the web about their non-payments. Quite a few people are reporting that their accounts suddenly got suspended, and after all the hours and efforts they put in, they didn’t get paid. This is not right… The company should have given those members a prior warning as to what they are doing wrong before suspending their accounts. Superpay.me is very strict about users following their regulations. Pay special attention to the following terms in order to avoid your account get suspended. Member must be 18 years or older to register. Members repeating offers on multiple sites will be banned. Proxy, VPN, public internet connection and shared IP addresses are NOT permitted. Only ONE member account registered or operated in each household. Superpay.me is a GPT (Get Paid To) site, so basically you will have to to complete tasks at their site to get paid. The tasks are mainly surveys (very frustrating), watching videos, and signing up for trials (free or paid). From the menu bar at the top, choose “Earn Money” or “Offer Walls” and you will be taken to the list of tasks to choose from. Click on the title of the offer you want to try. Each offer tells you how much you can earn and the rating by other members who have done it in the past, on a five-star scale. However, most offers do not give the time required. Keep in mind that at Superpay.me, you may disqualify for a survey after 5-10 min into it. This happened to me a few times, and this is the reason I barely made $3 after trying 6-7 surveys. It really IS frustrating. They would ask me for personal information such as race, occupation, age, address, marital status, children, household income, insurance, etc. and keep taking me to various survey sites one after another, that would ask for similar information. After spending a good 5-10 min answering all of their questions, I would get a pop-up saying I don’t qualify for the survey! Excuse me, but did you not just take all the personal information from me??? And are you not going to compensate me for the time and effort whatsoever? This alone seems a borderline scam to me. If you are still going to try Superpay.me, expect similar experiences. Superpay.me has a referral program that pays you 25% of the member’s total earnings you referred to the site. There is no limit to the number of people you can invite to the site, so it sounds like an excellent opportunity for extra income. However, you need to take note that the majority of members do not stay with Superpay.me when they realize how low the payouts are and how frustrating the system could be. These downsides make it hard to promote the program and keep people happy. Building a big downline that will bring you sufficient income could be very challenging and time-consuming. To me personally, it feels like a waste of time and effort. These downsides make it hard to promote the program and keep people happy. Building a big downline that brings you sufficient income could be very challenging and time-consuming. To me personally, it is not worth my time and effort. You can submit a ticket when you have a question or issues with the site. They claim they reply back within 24 hours. There is no forum within the system, though, which I feel is indispensable for a GPT site like this. Superpay.me does not offer any ways for members to interact with one another. Members should be able to communicate with the company staff and with other members freely. That way they can exchange information such as their experiences with the site, tips for earnings, recent changes in the system, issues they encountered, and so forth. Normally, a forum is where you notice the first signs of problems in the program, like payment delay or non-payments to its members. 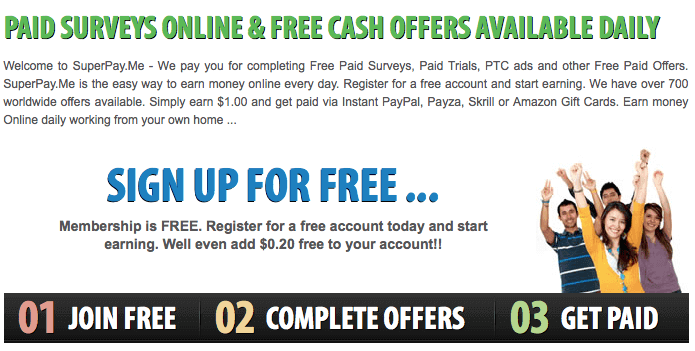 Superpay.me is free to join, has low minimum cashout, and their payments are swift. However, I do not recommend it due to the following factors. Overall, I do not see that Superpay.me can become a reliable source of income for you. It requires you to invest a good number of hours of your day just to earn a few extra dollars. By the way, the negative factors I discussed here are not particular to Superpay.me but are quite common among GTP type programs. 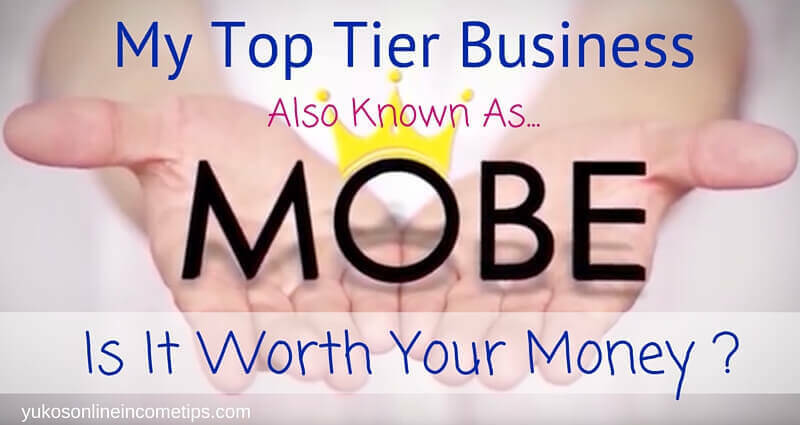 Rather than wasting time on these GTP sites with the risk of not even get paid, I would recommend you to invest your time for better ways to earn real money online. You can check out my tutorial “Online Income 101” that teaches you step-by-step how to start your own online business. If you have comments, questions, or wish to share your own experience with Superpay.me, feel free to leave them below! 10 Comments on "What Is SuperPay Me? – A GPT Scam?" Yuko the superstar is back at it again! This time, showing us the diamonds from the coal in the online money making world! 🙂 Loved the review once again – a nice big, fat F, hahaha. It’s high time people started waking up and realizing nobody is going to pay you anything but pennies to click ads and fill out surveys. Imagine getting a full time income by basically doing a monotonous task over and again, like a trained monkey. The only way to really make it online is to take the time to learn, invest in yourself and start a legit business where you are helping people in some way. I think these constant “opprtunities” always come up because it gives people what they want, not what they need. Haha, this superstar is quite doomed here because she has just learned that she didn’t make even $3.00 with SuperpayMe! All my earnings are pending. They never came through. I didn’t make an even couple of bucks after all the frustration. That’s sad. I hope the experience I shared here will become a wake-up call to many as you pointed out. It truly is a tedious task… clicking here, clicking there, answering the same questions over and over again… honestly, I would go crazy if I have to do this every single day! You have the great point that these sites won’t disappear from the web until people change their perspective. If they want to earn lots of money online, they must expect to learn, be patient, and put lots of hard work. That’s the way your effort really pays off in the form of real income. 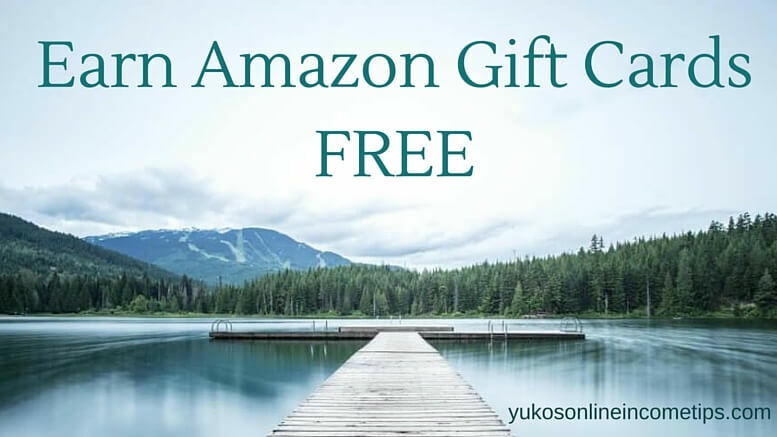 Hi Yuko, I have looked at sites like these and immediately thought that you end up doing a lot of work and giving away your information for cents. The end user, in my opinion, is getting played- no way can you get wealthy doing this. Maybe someone can prove me wrong? It evidently is not a scam but I get infuriated by programmes like these that promise so much but give very little. Perhaps we ought to give this kind of programme its own name…what about “scram” as in leave quickly! 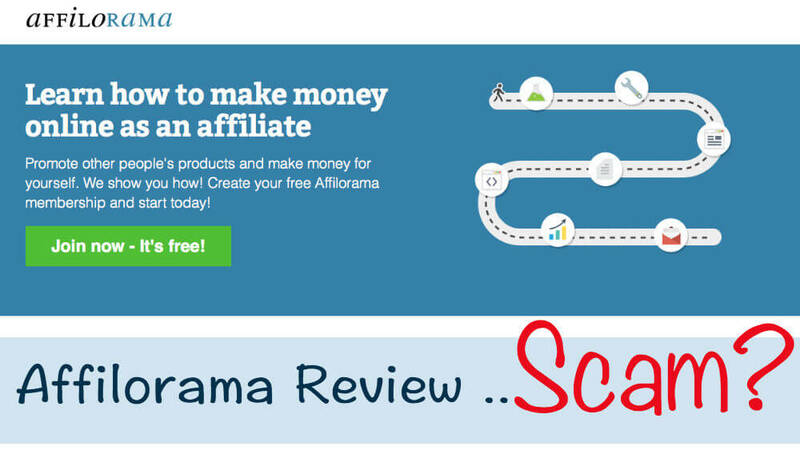 Not “scam ” but “scram” huh! Perhaps I should start building a list of “scram” programs to warn my readers. You are right. There is no way you can make living out of this sort of site. SuperPay Me is especially tough to earn even cents. After I published this article, I learned that I didn’t make the $3.00 I mentioned here. They are in the “pending” list and never approved as complete tasks! No wonder their minimum cashout is $1.00. There is a high possibility that you won’t even get to earn a dollar with them! No one can prove you wrong, my friend. Sites like this are not worth your precious time and effort. So it looks like Super Pay Me really isn’t very effective at making money online? Bummer! Sadly, that’s the fact in the current online world. More scams than legit programs. I listed in this post how to spot online scams, but the best way is to find a program that you fully trust and learn everything from so that you won’t have to look further. After a few scam programs, I landed a totally legitimate program, Wealthy Affiliate University, got properly trained and finally started earning income. I highly recommend it. You can join free and see how you like it. Hello, It’s me again, lol! Thanks for a well-written review. I’ve tried a couple of surveys sites before, but it wasn’t worth it. 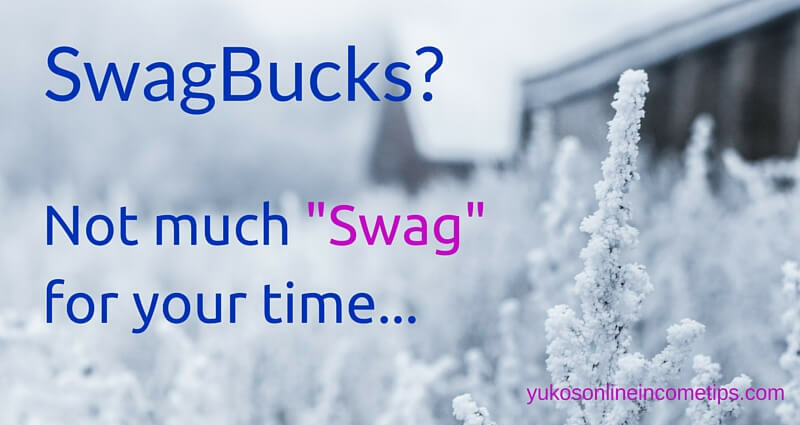 Wasting hours for a couple of bucks is not the way to go. I’d rather be working on my websites, improving my writing skills and learning as much as possible to make real money in the near future. This is the first time I read about a survey platform that requires a mailing address. Not very appealing! Time and ideas are the currency of success, no one should waste them with websites like these. I totally understand what you mean! What kind of job nowadays pays you only a buck for 30 minutes of your time? Except for the comfort of doing it on your own couch, I honestly do not see the point of doing online surveys. It really is frustrating and in fact, I suspect how many participants are genuinely answering to all those questions. I found myself getting sloppy (couldn’t help it because it was so tiring!) toward the end of each survey, you know. I am still earning $5 to $10 Amazon gift cards per month from the other GPT site, SwagBucks, but almost none from SuperPay Me. I am glad you are aware that these sites are pointless. Yes, please keep your precious time and energy for developing your website. Once it reaches a certain point, it begins generating passive income! Thanks for this great SuperPay Me review – your honest review will save a lot of people from wasting time on this site, I only wish I had read this before I joined nearly 3 months ago. Since then it’s been nothing but headaches and a huge time waster. I’m a member of a lot fo paid survey sites and SuperPay Me is definitely the worst I’ve ever been part of. I’ve tried to withdraw my money several times but each time they give me a new excuse not to pay me. First I had to confirm my identity by faxing my documents across to them, then they can’t find the fax even though I have proof I sent it. Now my account is blcoked and I’ve given up on ever getting paid. Anyone reading this – SuperPay Me is a scam and they will do everything they can to NOT pay you. Definitely not worth the time and the effort. I am truly sorry that you had to go through such a nonsense. I think your personal experience you shared here is way more valuable for my readers than my blog. After reading your comment, I would like to warn everyone who is reading this to please stay away from SuperPay Me! Being true to one’s words and being supportive to the customer is such basics that we learn in Business 101. It doesn’t matter if it’s online or off line business. If SuperPay Me is not operating its business based on the fundamental ethics, then it is not worth your time and energy. Thank you, Simon, for sharing the experience with my readers here!